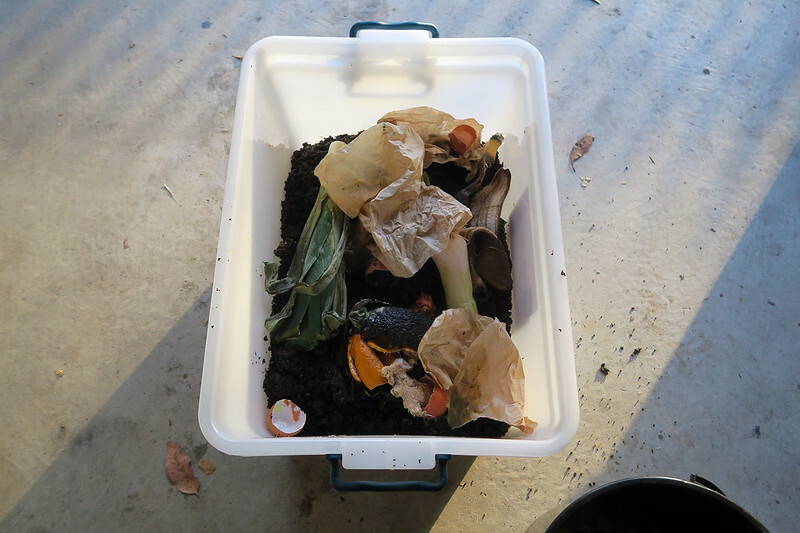 Composting is a strange passion to have and yet it’s somehow become one of mine. It’s good to have varied interests after all (I also like long walks on the beach, going out and staying in. Call me). Food waste in turn is an important factor to consider in any person’s green journey, particularly as it’s doubtful that you’ll get through your day to day life without creating any whatsoever. And while there are a stack of ways to use your offcuts before you discard them completely, composting ensures that whatever is left behind is not sent to landfill to rot for all eternity. Why should you care about your food waste? Well, as food breaks down it releases a gas known as methane, which is more potent than carbon dioxide and so does mean things to our atmosphere. There are three things you can do to try to not be responsible for a large output of methane consistently entering the air. The first is to never turn into a cow. The second is to ensure you only buy the food you need to eat each week and use your offcuts for making stocks, relishes and the like. And lastly, to put what is inevitably going to end up as food waste to good use, by composting it. This way the nutrients can benefit either your or someone else’s garden and all that methane will not be for naught. So – how exactly do you achieve this? The worms find a home. You get another three options! Don’t say I don’t spoil you with choice. 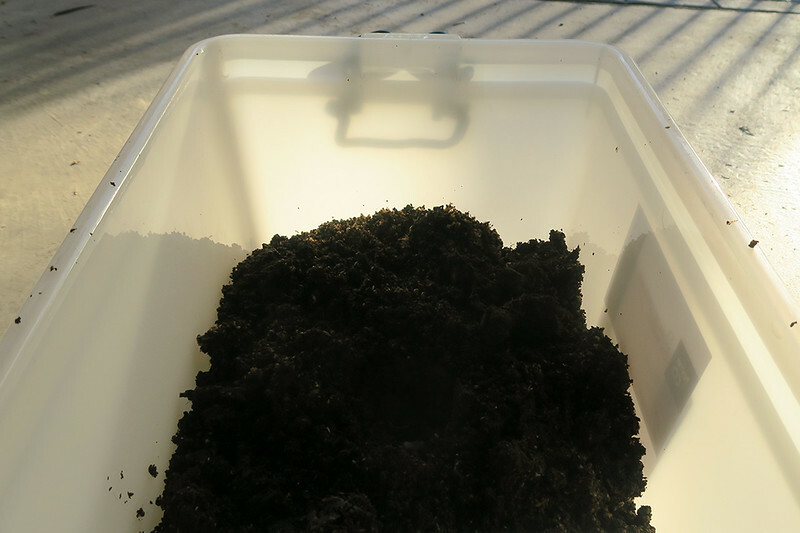 The first – buy a good old fashioned composter, bung it in your backyard and start throwing your vegetables and fruit offcuts in it (along with all these other things that can be composted), in order to feed your garden. The second – if you don’t have your own green space, find a local community garden in your city which will gladly accept your food scraps. Keep them in the freezer in the interim and drop ’em off once a week at your convenience (or theirs, as some have strict windows for accepting food for compost). 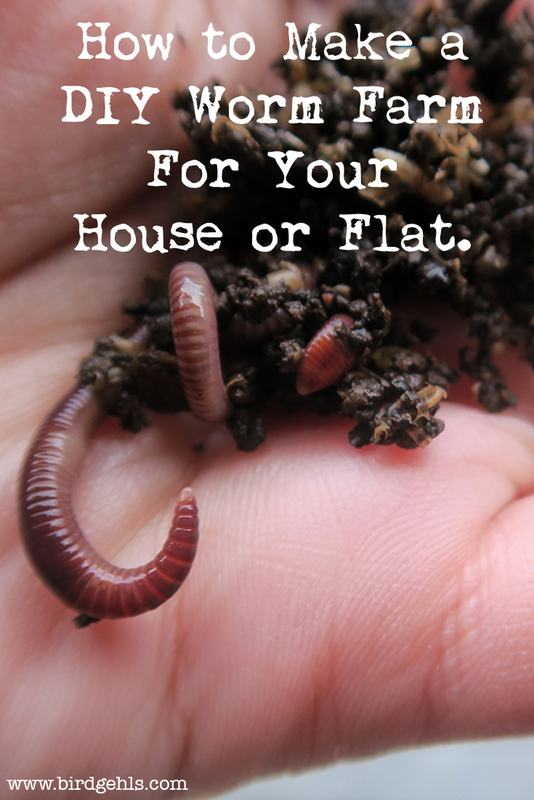 Alternatively, if you don’t want to take the trip every week and fancy giving yourself a project, you can construct a DIY worm farm. This is the option that we’re going to explore, as the title of this post may have given away. Once again, three reasons (there’s a clear pattern to this post). The first is that it’s portable. This is important and something I learned after investing in a more heavy duty version, only to get kicked out of my London flat shortly after. We had to leave the composter behind as we had no idea where to store it. The second is that I’m lazy and I don’t want to have to visit a community garden every week, particularly as I don’t have a routine thanks to my job, or a car. The final reason is quite simply that I need a pet and if I can’t have my own dog, then 1000 worms will have to do. Aren’t they cute? I’ve decided to call them Betty. 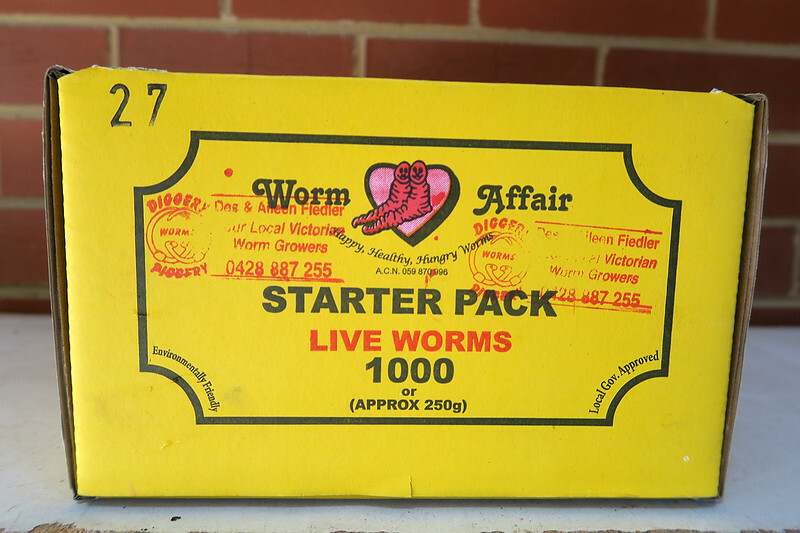 The great thing about worm farms is you don’t actually need a garden to keep them in. All that’s required is that they’re kept in a dark place – such as under a kitchen sink, or laundry cupboard. This makes them ideal for both a house and flat environment. I told you they make great pets. I bought a 1000 pack from my local Bunnings (for my non-Australian readers, it’s a home and hardware store in Oz, or rather an institution within the country) and took them home on the bus. It was a good conversation starter – one lady on the bus told me all about how she planned to get one herself and breed them to sell to other people. It sounded like a pretty good money-making scheme (and yeah, people on public transport in Australia will talk to you, unlike in London. Sometimes, whether or not you may actually want them to). Then I procrastinated for a week (which is why this post is publishing seven days after I had hoped it would see the world), before completing the project and giving Betty a home. 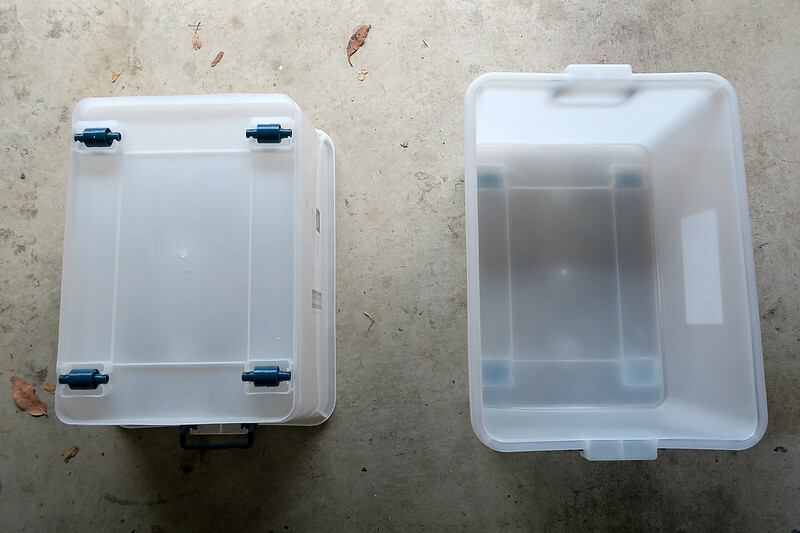 I grabbed two storage containers that I had lying around, which collapsed into each other. One would act as the base and the other would contain the worms. Pretty impressed with myself here. 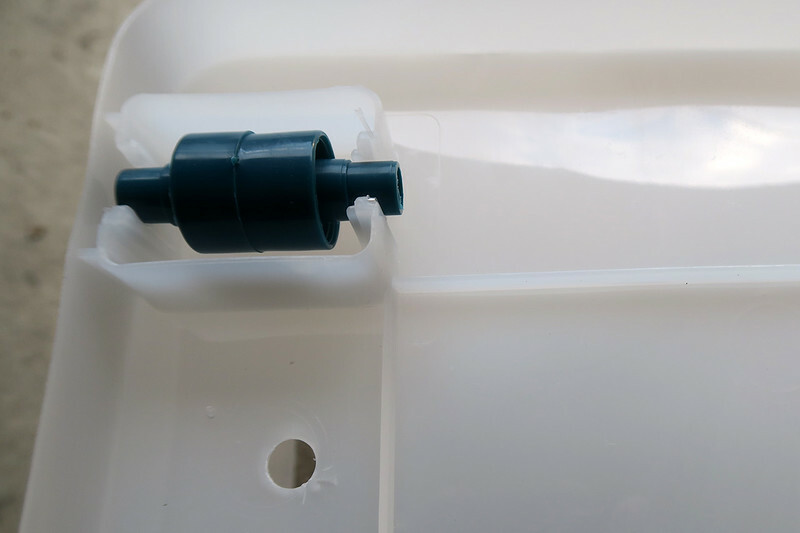 I then drilled a hole in each corner of one of the containers, somehow managing to cut myself before I had even turned the drill on. 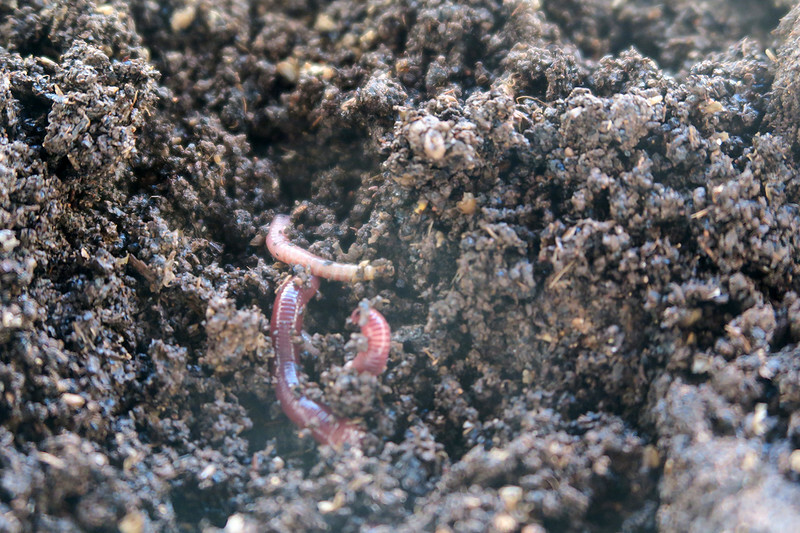 Ideally, the worm juice will pour out of the first container and into the second, where I should be able to collect it to either fertilise my garden (if I ever have one again) or give it to others as a really weird present. In went Betty, along with an assortment of food waste and paper that I had been storing in my freezer for several months now, much to the annoyance of my flatmate. And in goes my food waste and their food. Then I put the lid on, put Betty in a dark corner of my garage and left them to do their thing. I will interrupt them only to give them more food, or for when I need cuddles. Ugh, I need to get a dog. 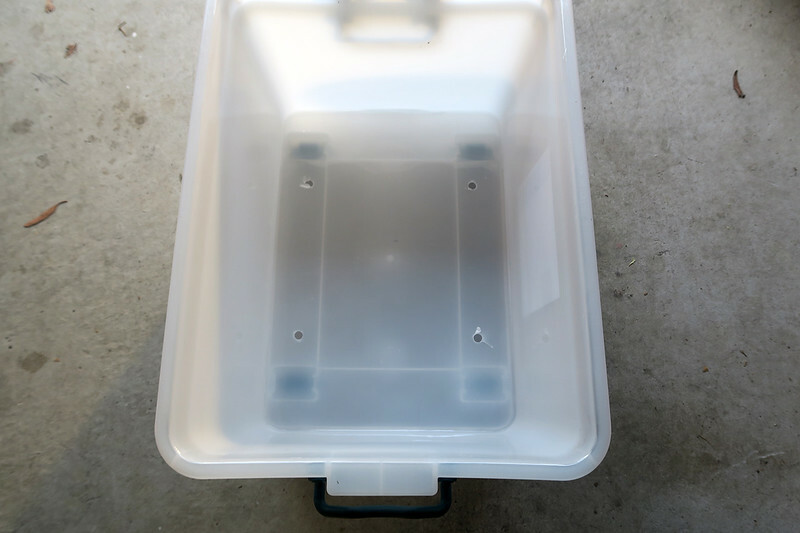 If you live in an apartment and want to try to compost your food waste, I recommend a Bokashi Bin. 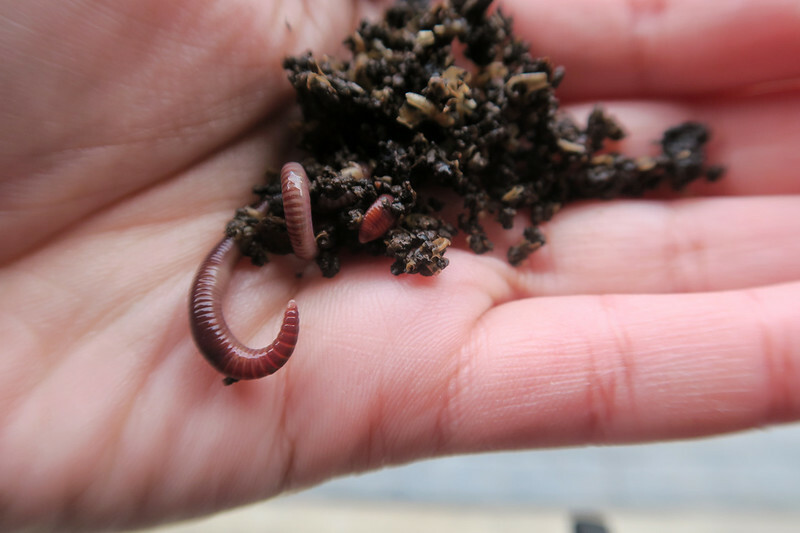 Would you give a worm farm a whirl? Feeling inspired? Pin this for future reference. Yeah, space could be an issue! I think that conposter could indeed be the solution – let me know how it goes for you!